On Women’s Day our team spoke with Dr. Meena Chandawarkar, Vice Chancellor of KSWU, Vijaypur. In her interview she tells us how she created a fine balance between her personal & professional life. She is an inspiration for all the women out there who are trying to carve a niche for themselves in personal & professional life. 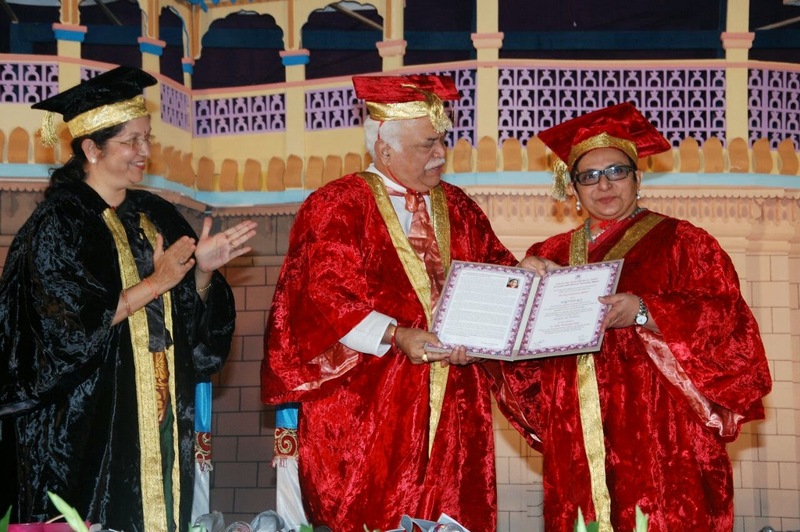 Dr. Chandawarkar started her career as a part time Pass Book Writer with Bank of India, Mumbai and now is the Vice Chancellor of KSWU, Vijaypur. Do read her story in her own words. Thank you Dr. Chandawarkar for sharing your story with us! 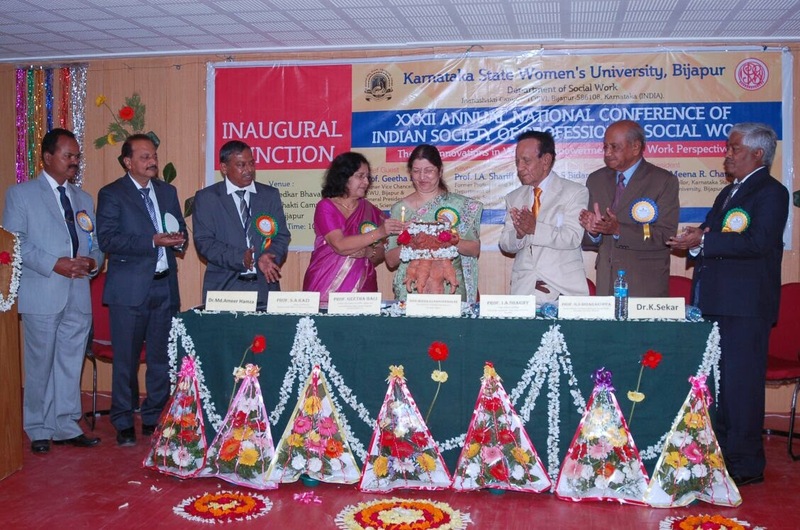 I took over as the Vice Chancellor of Karnataka State Women’s University, Vijayapura, (KSWU) on International Women’s Day, March 8, 2012 on a tenure of 4 years. 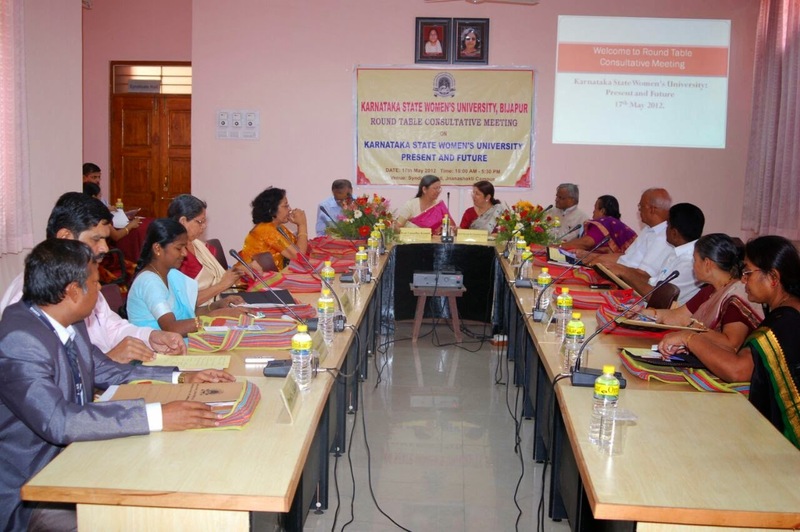 My university is the only women’s university in Karnataka, having 128 affiliated colleges with around 28000 students. 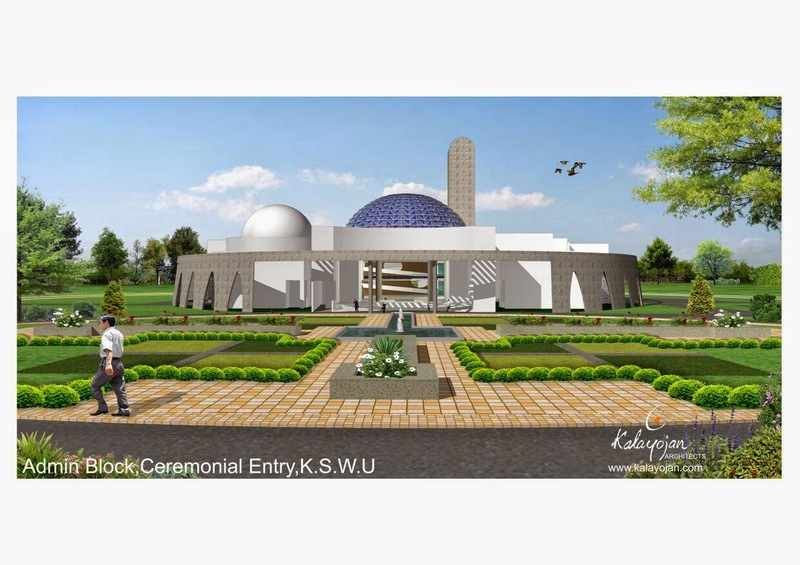 Recently, the jurisdiction of KSWU, which was restricted to only 13 districts of North Karnataka, has been extended to all 30 districts of the state. I had my school and college education, in Mumbai. Completed M.Com from Narsee Monjee College of Commerce & Economics, Vila Parle, Mumbai. My father Mr. Prabhakar S Bagde worked for Civil Aviation and mother Mr. Pramila Bagde was a high school teacher. They gave me lot of love and affection, instilled values of power of Divine Grace, hard work, sincerity and positivity in life. I got married to Dr. Rajiv Chandrakant Chandawarkar, a consulting Pathologist in December 1976 and migrated to Karnataka. 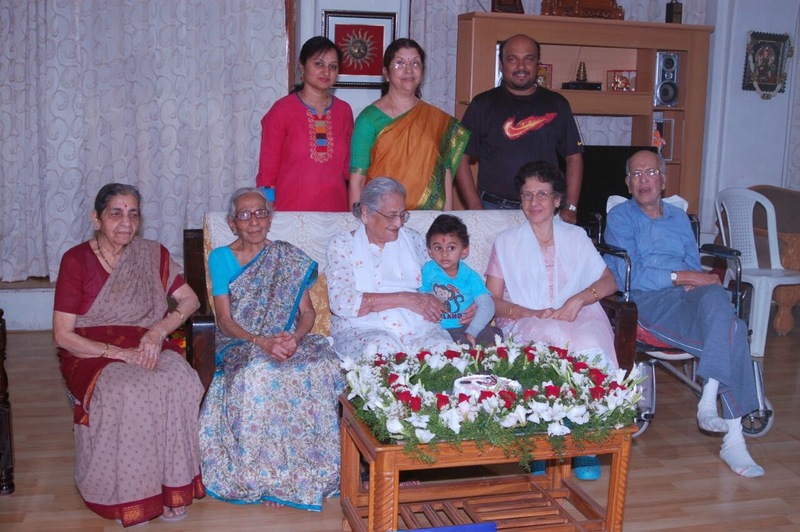 My parents-in-law, Mr. Chandrakant M Chandawarkar, an IAS officer, and Mrs. Saguna Chandawarkar, a home maker, a Karnataka Kalashree Awardee for Hindustani music, have been a great pillar of strength for me. Ours was a joint family. The staunch family support motivated me to patiently face untimely tragedies in life and to reach the responsible position of a Vice Chancellor. My son, Anand Chandawarkar, a Computer Science Engineer, with MBA in finance, is working for WIPRO Technologies and daughter in law, Meghana, an Electronic Engineer with M. Tech, is now committed to the upbringing of kids Dhruv, 3 years 9 months old and Dhriti – one month old. These kids belong to the fourth generation in the family and are indeed our bundles of joy!! “Spending more time with our children is far more important than spending money on children”. This study was a great turning point in my life. My guide Prof. B. M. Wali, inspired me to study the developmental aspects of Human Resource efforts which blossomed out into a very motivating work. I now focus on the crucial need of managing and developing our precious human resource rather than on “Debit and Credit” aspects of Commerce. My career from a “Part time Pass Book Writer with Bank of India, Mumbai to the Vice Chancellor of KSWU, Vijaypur” has been a very interesting one, full of struggle, challenges together with a satisfying sense of achievement. I would like to share a piece of interesting information with you. Sir Narayan. S. Chandavarkar was the Vice Chancellor of University of Bombay from 1909-12. Thereafter, his son Sir Vithal. N. Chandavarkar, became the Vice Chancellor of the same university, from 1933-39 and in 1958. This is a rarest of the rare situation. I am blessed to be the third ‘Chandawarkar’ to be a Vice Chancellor!! I started my career as a part time pass book writer with Bank of India, Hill Road, Bandra, Mumbai branch in October 1973. At that juncture, I dreamt of being a Probationary Officer. My dream saw the light of the day when I joined Union Bank of India, Hill Road, Bandra, Mumbai, in December 1976 as a Probationary Officer. Thereafter, I worked in Union Bank of India’s Hubli and Guledgudda branches, in a senior capacity, till 1983. I had to resign from the bank as there was no branch in Bagalkot, where I had settled down. In 1984, I joined Vidya Prasarak Mandal’s S.R.N. Arts and M.B.S Commerce College, Bagalkot, where I served for 24 years (21 years as Principal). 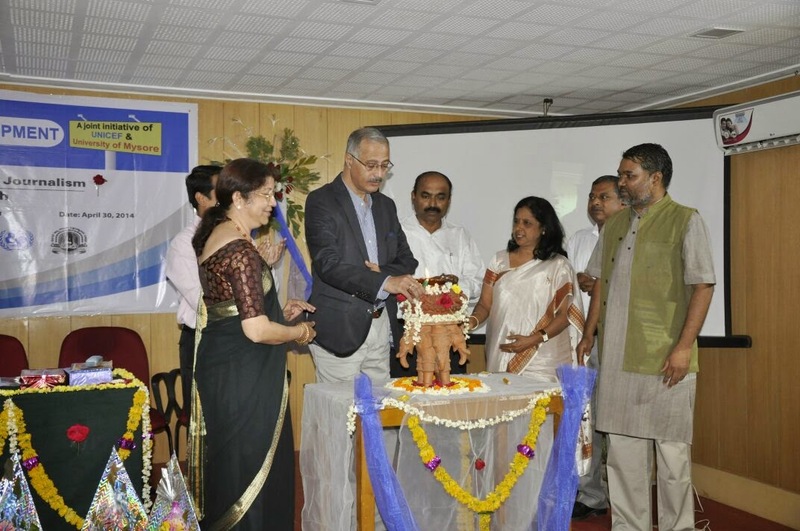 In 2008 I took over as the Director, UGC Academic Staff College, Karnataka University, Dharwad. After serving there for three and half years, I joined KSWU as its Vice Chancellor. I have another year to complete my tenure. My passion for work itself is a great motivation for me. The happiness one gets when 10000 hours of hard work and toil meets with one moment of achievement, is beyond comparison. 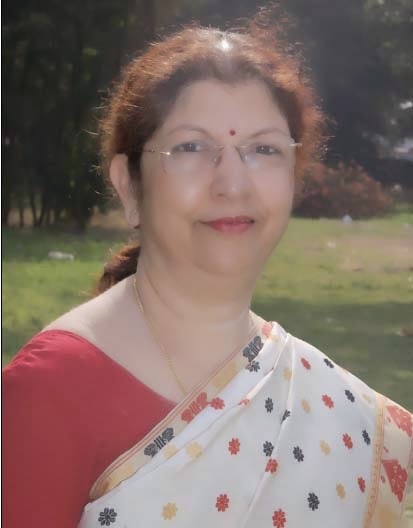 I have experienced 4 different phases of work, as a banker (11 years), as a Principal of College (21 years), as the Director of UGC Academic Staff College, Karnataka University, Dharwad (Three and half years) and now as a Vice Chancellor of Karnataka State Women’s University, Vijayapura – 3 years. The responsibilities in each of these assignments was totally different and of increasing magnitude. But, I truly believe in the saying “Be thy labour great or small, do it well or not at all!” This keeps me going ahead and working with total involvement. I have spared no efforts to make a difference in each institution I served. If all our tasks are fulfilled with such passion, success can surely be achieved. This feeling is a great inspiration. I am truly guided by this philosophy. I have two elders at home my mother in law (89 years) and my mother (85 years) and two grand children. I like to devote my free time for them, which is a priority. Besides, I like travelling, reading books on Personality Development, sending motivating forwards to friends, relatives, colleagues and students. I am in constant touch with over 1000 teachers who attended Training programmes at Karnataka University, Dharwad and also my colleagues in the university. I really enjoy the inspiring messages received through emails/whatsapp and inject a dose of motivation in myself. It keeps my mental and physical self in a charged state always. Balancing personal and professional life is very delicate, difficult but at the same time, a satisfying task. Many a times, we tend to carry our domestic moods to the work place and vice versa. It is a human tendency and applies to me too. Some ‘give and take’ attitude after priorities are focused upon helps me to handle both responsibilities in a balanced manner. I sincerely believe in Divine Grace which has enabled me to handle rough weather in life – at home and in career. A valuable lesson I have learnt is that no matter now helpful society is, there is no substitute to the family. My family has sacrificed a lot and stood with me throughout, to reach heights of excellence in career. I remain indebted to them forever. I am basically an ambitious individual. Hence, I have always been aspiring to move from good to better and from better to best. A long cherished dream of mine was to occupy the coveted post of Vice Chancellor in the university. This dream was materialized. I don’t aspire for anything more. My only desire will be to serve the student community and society to the best of my ability. A piece of advice for all youngsters. Our former President, Dr.A.P.J.Abdul Kalam defines a dream as “A dream is not the one you see in your sleep, a dream is one which doesn’t allow you to sleep at all! !” This is a crucial message for those who dream to be an achiever. Tragedy struck me when I lost my husband at the age of 41 and my only daughter Amrita aged 17 years, in a short span of 3 years. Untimely loss of dear ones is inconsolable. It was a very difficult situation for me, virtually impossible to accept. At a time when I was emotionally crippled and mentally disturbed, our spiritual Guru, H H Param Poojya Sadyojat Shankarashram Swamiji blessed us by HIS presence and words of wisdom. I realized the miraculous power of Prayer in that situation. Prayer is the antivirus which protects the windows of our life from the fatal viruses of gloom, depression and hopelessness. And I have experienced it literally. Dealing with such difficulties is a challenge as it demoralizes the spirit and promotes negative thoughts. However, a firm belief in the truth that success lies not in never falling down, but getting up every time you fall, helped me to smoothly cross the dangerous speed breakers in my life. I am remember, with gratitude, the great support my parents, parents in law, son and other family members/friends gave me during those difficult times. Describe how you would handle a situation if you were required to finish multiple tasks by the end of the day, and there was no conceivable way that you could finish them? This situation has arisen many times in my life. Delegation of tasks to different people is necessary to be an effective leader. During such moments, trusting your colleagues, recognizing their inborn potential and assigning them suitable responsibilities is extremely essential. Besides, a pat on their back, saying “Shabash” in the presence of others, a small incentive can work magical wonders. Motivation is just like fire. Just as you need to go on adding fuel to the fire to keep it burning, so also you need to continuously motivate your precious human resource to keep them motivated. Managing 1000 computers is easy but handling a bunch of people is very difficult as each one has his/her values, thoughts, opinions, feelings and ideas. Never the less, it is only people who can help you in a difficult situation. Hence, I would complete my multiple tasks taking my people in confidence and trusting them. Women now are making the mark in every field. As they represent nearly 50% of our population it is crucial that they too actively contribute to the nation’s progress. Together with this responsibility, is their bonding and responsibility towards the family which can never be avoided at all. Nature has blessed the woman with abundance of virtues like patience, love care and concern, working capacity round the clock, positivity and perseverance. As such, she is afforded a golden opportunity to effectively balance both home & career. The women’s competency in all spheres has been established. But to be successful in her chosen career, she has to first enjoy every moment of it, and scale greater heights. Planning purposefully, preparing prayerfully, proceeding positively and pursuing persistently are the acute need of the hour. Success in the work place requires total commitment, lot of sacrifice, ability to take all your people in confidence and working with a team spirit always remembering that TEAM denotes Together Each one Achieves More. This is an area where most of us fail and hence needs to be emphasized upon with care. 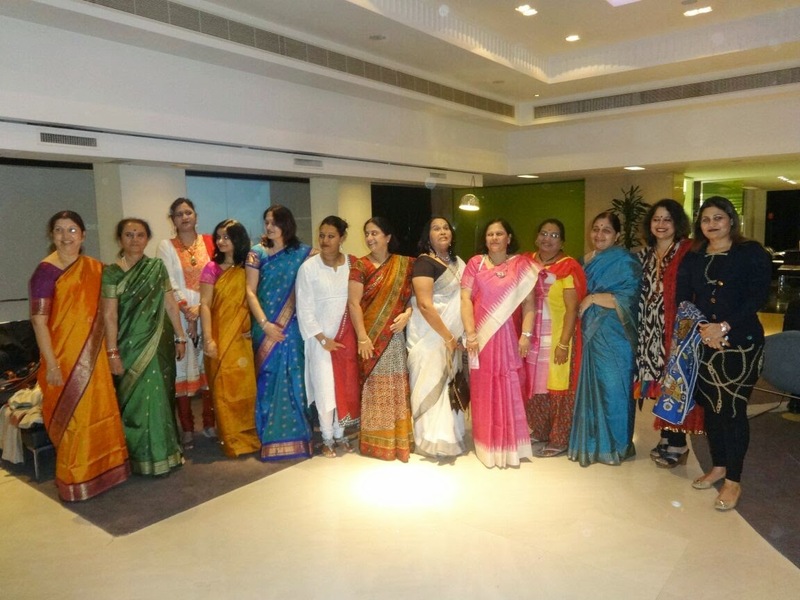 A homogeneous ambience in the work place is critical and women can certainly contribute the same. An area of acute concern today is caring for the elders. My sincere advice to working women is that never ever neglect your family, especially elders at home and children, who need our presence with love. The mother’s touch works magical wonders. The key to the family’s peace of mind is in the hands of the woman. She can make it or mar it. Jeevan mein kaamiyab hone ke liye 3 factories lagaiye. If we women follow this principle in life, the world will be a much better place to live. There isn't have to stress over mis mission statement. You will have an individual author that will redo your MIS mission statement as to ensure visit website that you won't present a bland exposition. It is pleasant might want of that understudies can get visa essentially. at least the procurement of understudy visa should be made awfully clear. So this website understudies won't confront a few issues. Karnataka State Womens University is really good institution.I really liked your counseling style as once I got to read some content written by you on http://www.sopwriting.net/cyber-security-statement-of-purpose/.It was really great. What were the results like? From the 14 students, 6 chose to co-author regularly (so, 3 co-authored papers each time). The co-authoring students were, on average, the more confident students. The quality of papers was pretty high overall. Were the co-authored papers better on average? follow the link that I love for the helpful information and its really amazing.